The certificate program in Online Teaching and Learning (OT&L) provides participants with a diversity of learning experiences. These include design, development, implementation, and management of online courses using various Learning Management Systems (LMS); design and delivery of synchronous learning environments and learning management systems; design and development of electronic, self-directed learning materials, and others. The program is designed to be flexible in order to remain current with developing technologies and delivery systems. Developed knowledge and skills of designing, developing, delivering, and evaluating online learning environments and programs that are accessible for individuals with disabilities and are responsive to learners' diversity and cultural differences. 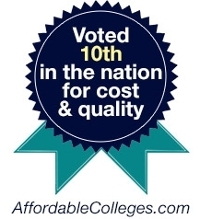 Applicants seeking admission to the graduate certificate in online teaching must hold a bachelor's degree from an accredited college or university in this country, or its equivalent in a foreign institution based on a four-year program, and have a strong overall academic record with a "B" average or better in the basic courses required in the area of the proposed certificate program. A professional resume and personal statement describing reasons for pursuing the Certificate in Online Teaching. International students: TOEFL minimum score of 79 on the Internet-based exam, 197 on the computer-based exam, or 525 on the paper-based exam. Scores older than two (2) years will not be accepted. *GRE/MAT tests are not required for admission into any MIT certificate program. Applicants who plan to apply for Special Endorsement in Online Teaching and Learning must currently have (or be eligible for) a NC teaching license. Students may transfer up to 9 semester hours as a non-degree student at UNCW toward this certificate program. Individuals who fall short of one of these criteria may be admitted if other factors indicate potential for success. The courses in this certificate program are all project-based with individual and team collaboration. There is close mentoring from faculty in the hands-on design of online courses. These factors help in the successful completion of the program. Students entering the certificate program must demonstrate basic technology skills. Students entering the program with very little or no computing experience will be required to take EDN 303, Instructional Technology, or pass the performance competencies test for basic technology skills. Non-degree UNCW graduate students who wish to pursue the certificate program must apply for admission to the program before 10 approved credits are completed. No transfer credit from another institution will be counted toward the completion of the certificate program with the exception of courses offered as part of an agreement between the certificate program and collaborating institutions. A certificate graduate student may enroll on either a part-time or a full-time basis. The program requires 18 credit hours. MIT 500. Instructional Systems Design: Theory and Research (3). Advanced instructional design theory and research focus on analysis of theoretical foundations of instructional design and their application in design practice. Examines multidisciplinary and multicultural influences upon instructional theory and development. Explores a broad range of current design research and theory, and future directions in design theory and practice. MIT 514. Foundations of Distance Education (3). Examine the concepts, technologies, and issues related to the design, development, delivery, policy-making, and evaluation of distance education courses and programs. Provide an overview of distance education technologies; and focus on effective delivery techniques for teaching and learning within a distance education system. MIT 531. Assessment of Learning Outcomes (3). Examination of the nature and purpose of measurement and assessment of learning outcomes. Particular attention is paid to the concepts of reliability, validity, norms, interpretation of scores, response sets, fairness in testing and performance assessment, and norm-referenced vs. criterion-referenced tests. A variety of instruments that are used to measure or assess human attributes and behaviors are studied. MIT 515. Web Teaching: Design & Development (3). Prerequisites: MIT 500 and MIT 511. Focus on principles of designing Internet-based (web-based) instruction. Students will use Internet tools and other instructional design principles to design and develop web-based instruction. Four-to-six hour weekly lab required. MIT 513. Computer-Based Instruction (3). Prerequisites: MIT 500 and MIT 511. Exploration of computer-based instruction (CBI) as a delivery system. Students will learn to design, develop and evaluate an interactive computer-based instructional program that meets instructional needs. Students will follow a systematic instructional design process (flowcharting, story boarding, prototyping, formative testing) to develop a CBI program. MIT 516. Instructional Video Design and Production (3). Prerequisite: MIT 500 or permission of instructor. Designed to explore the process and techniques involved in professional video productions. Emphasizes fundamental theories and practice in camera and computer-based audio and video production, including recording, editing, and digitizing audio and video segments for education and training applications. MIT 518: Managing Learning Management and Course Management Systems (3) (New Course): Designed to address administrative, management and tracking aspects of online courses. Emphasizes managing enterprise level Learning Management System, SCORM compliant and processes for launching courses authored in all standard course authoring tools. The following courses have to be completed before the focus area courses can be taken. MIT 514. Foundations of Distance Education (3). MIT 500. Instructional Systems Design: Theory and Research (3). MIT 511. Multimedia Design and Development (3).